Derek Stevens is a betting man, but this March hasn’t been too kind to the D Casino owner. 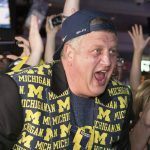 Before March Madness tipped off, the Las Vegas businessman placed a $12,500 bet on the Michigan Wolverines winning the men’s NCAA basketball tournament at 80-1 odds. Golden Nugget owner Tilman Fertitta personally approved the wager placed at his sportsbook, and the potential payout of $1 million. But Fertitta is no longer sweating the million dollars, and today is $12,500 richer, chump change to the billionaire. That’s because Michigan’s Cinderella run as a No. 7 seed ended last night against No. 3 Oregon. The Ducks topped the Wolverines 69-68, a single point removing a possible $1 million win from the books. Why Michigan? Stevens is a Michigan native who received his bachelor of science degree from the university in 1990. Stevens is known for placing a plethora of March Madness bets each year, but in 2017 the casino boss is running cold. He placed $11,000 on each of the first 32 games, for a total first round wager of $352,000. He went 10-19-3, however, and lost $109,000. Michigan was his saving grace, but he’s out of that bet now, too. Of course, Stevens won’t lose too much sleep over the losses. 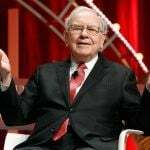 Though his net worth isn’t publicly known, the multimillionaire can presumably absorb a small six-figures defeat. Steven’s $121,500 loss on the 2017 men’s basketball tournament will likely be chalked up as marketing expenses. His heavy wagering on March Madness generated much publicity for the D Casino. It’s only the recent publicity ploy utilized by Stevens. 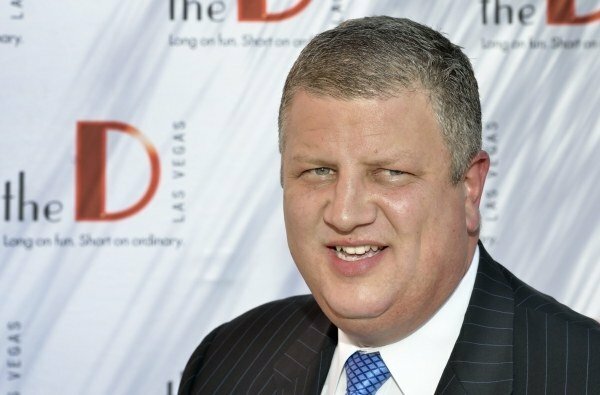 Last year, he offered up the Downtown Las Vegas Events Center, which Stevens also owns, to a supposedly bankrupt Kanye West for free of charge. Stevens said Kanye could perform in front of 10,000 patrons and keep every cent of the ticket sales, with the catch that he would keep all bar revenue. West never took Stevens up on the offer, but again, the ruse garnered plenty of media coverage. 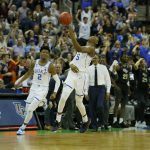 As is typically the case, the NCAA tournament is once again largely in chaos and brackets are in disarray. No. 1 Villanova and No. 2 seeds Duke and Louisville both failed to make the Sweet Sixteen, and last night another contender met their match. No. 2 Arizona faced the lowest seed of the first night of the Sweet Sixteen with No. 11 Xavier. Though there still hasn’t been a buzzer-beater to win a game in this year’s tourney, last night there were three opportunities, including one from the Wildcats’ Allonzo Trier. But the shot rattled off the rim and the Musketeers pulled off the upset 73-71. Arizona was favored by around seven points in Las Vegas. Sportsbooks will now focus their attention on Xavier, as they were long shots to win the West Region heading into the semifinals at 12-1. 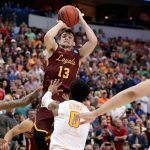 The Westgate SuperBook listed Xavier at 100-1 tin win the college basketball title prior to their Arizona upset, an attractive line in hindsight.